Explore the luxurious beauty of Las Campanas. 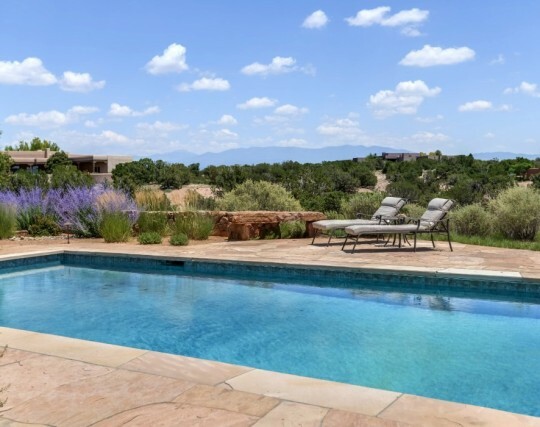 Set on more than 4,700 acres and conveniently located only 15 minutes from the historic Santa Fe Plaza, the gated community of Las Campanas combines luxury, privacy, an unparalleled outdoor lifestyle and incomparable views of the of the Sangre de Cristos and Jemez mountains. Panoramic mountain views and breathtaking sunsets are but two of many reasons to call Las Campanas home. Members of the Club at Las Campanas enjoy two Jack Nicklaus designed golf courses, an equestrian center, tennis courts, an outdoor pool, an indoor lap pool, full service spa and fully equipped fitness center. Golf as well as social memberships are available. Established in 1992, Las Campanas is the only master-planned luxury golf community in Santa Fe. There are approximately 1700 homesites in Las Campanas. The distinctive community offers custom and semi-custom homes. 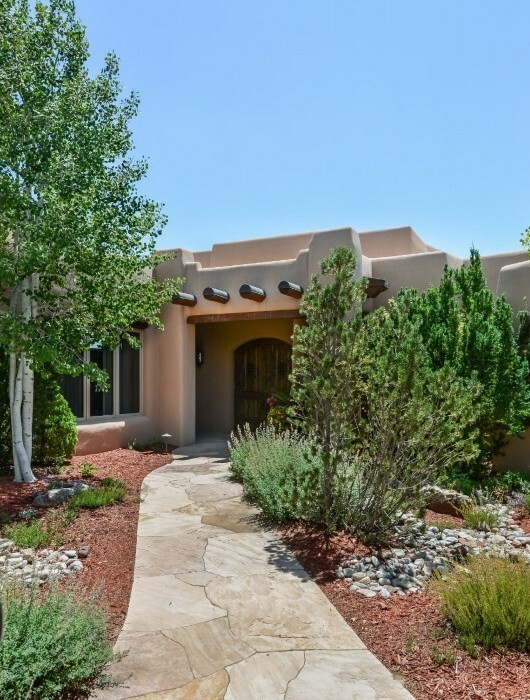 The majority of homes in Las Campanas favor the traditional Santa Fe style adobes. There are a wide range of homes available in a variety sizes and prices. Casitas range in size from about 1700 square feet and start in the mid $400’s. Magnificent luxury homes in the community can exceed 10,000 square feet and top $4 million or more in price. There is something in between for nearly everyone. Come experience the beauty of Las Campanas. THIS WEB SITE IS NOT THE OFFICIAL WEB SITE OF SOTHEBY’S INTERNATIONAL REALTY®, INC.